Today, we cover the pineapple, the dish so nice that some animated sea creatures decide to live in one under the sea. 1. Ham is sometimes garnished with round slices of pineapple. What other fruit is used in this garnish? 2. A standard piña colada is made with three parts pineapple juice and one part each of what other two ingredients? 3. 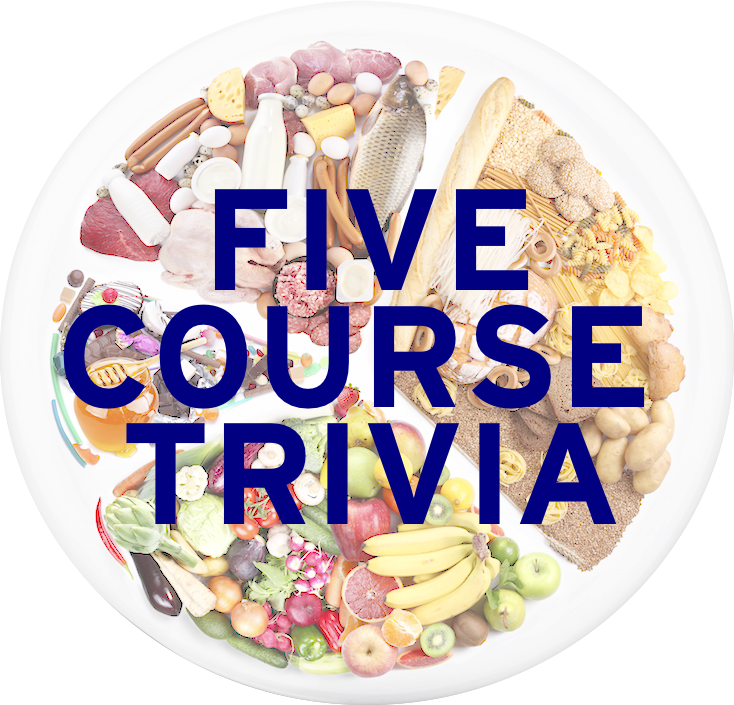 Which sixth-largest Hawaiian island is known as the “Pineapple Island”, as fruit man James Dole purchased the entire island for a plantation in 1922? 4. What item was added to the McDonald’s menu after a bet made by Ray Kroc with a McDonald’s franchise owner in 1963? In the bet, this item outsold Kroc’s Hula Burger, which consisted of a grilled pineapple with cheese on a bun. 5. Muc xao thom, or fried squid with pineapple as seen in the picture below, is a dish in which nation’s cuisine? Learned League precedent (LL67, MD2) – Varieties of this fruit—a composite formed by 100-200 berry-like fruitlets that provide its tessellated appearance—include smooth cayenne, Natal queen, Red Spanish, and sugarloaf. Tomorrow: We get an ‘Eh’ for effort as we head to the Great White North for some Canadian cuisine in our second World Wednesday!